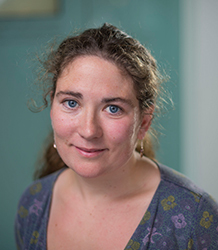 Muireann Maguire is Senior Lecturer in Russian at the University of Exeter. She was Career Development Fellow in Russian Literature and Culture at Wadham College, Oxford, between 2010 and 2013, and has previously taught at Queen Mary College, University of London and at the University of Cambridge. She has a PhD from the University of Cambridge (2009) and a BA (Hons) in European Studies from Trinity College Dublin (2003). She has taught courses on nineteenth- and twentieth-century Russian literature and on comparative literature. Her book Stalin’s Ghosts: Gothic Themes in Early Soviet Literature (Peter Lang, 2012) examines the unexpected interaction between Soviet Socialist Realism and the European Gothic tradition. Other publications are listed below. Her major current research interests include the cultural reception of science and scientists in Russian and Soviet culture; childbirth as a trope of Russian literature; animals in Soviet cinema; and Tolstoy's classicism, as well as the novels of the Russian émigré author Gaito Gazdanov. She is also active as a freelance translator from Russian to English: a collection of Russian twentieth-century ghost stories, Red Spectres, was published in 2012. 'The Wizard in the Tower: Iakov Brius and the Representation of Alchemists in Russian Literature', Slavonic and East European Review (90:3, July 2012), pp. 401-427. 'Crime and Publishing: How Dostoevskii Changed the British Murder', chapter in A People Passing Rude: British Responses to Russian Culture, ed. Anthony Cross (Cambridge: Open Book Publishers, 2012). ‘Ghostwritten: Reading Spiritualism and Feminism in the Works of Rachilde and Vera Kryzhanovskaia-Rochester’, Modern Language Review (106: 2, 2011), pp. 313-332. ‘Post-Lamarckian Prodigies: Evolutionary Biology in Soviet Science Fiction’, New Zealand Slavonic Journal (43: 2009), pp. 23-54. ‘A “dreadful predilection”: The Gothic-Fantastic in Soviet Socialist Realist Literature’, Gothic Studies (13:1, May 2011), pp. 75-94. ‘“Kto umeet zhit’ obmanom”: Wizards and Diviners in Late Eighteenth-Century Russian Theatre’, Study Group on Eighteenth-Century Russia Newsletter No. 34 (July 2006). Articles on ‘Russian Gothic’ and ‘Sigizmund Krzhizhanovskii’ for the online Literary Encyclopedia (www.litencyc.com). She has co-edited a special issue of Studies in East European Thought (63:2, 2011), 'Russia on Edge: Reclaiming the Periphery in Contemporary Russian Culture'. Dr Maguire regularly reviews for Modern Language Review and the TLS, amongst other publications. She also co-writes and edits a collaborative blog on Slavonic science fiction entitled Snail on the Slope.